We provide training in accordance with the 2015 ILCOR guidelines. Private classes are instructed at your location for your convenience. 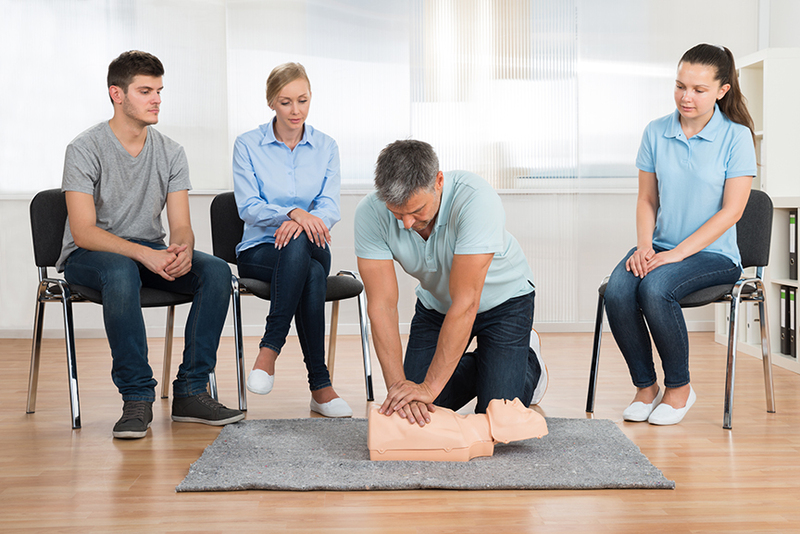 Why choose Jumpstart CPR & First Aid for your instructional needs? Our on-site delivery reduces scheduling and travel hassles. We focus on student-teacher interaction rather than lecture from a podium. Our manikins use one-time-use shields preventing cross-contamination. We have price reduction for groups. For a quick synopsis of our classes, refer to the list below. Basic First Aid classes that meet OSHA (29 CFR 1910) and WISHA (WAC 296-800-150) requirements. CPR and AED for the layperson. A variety of classes that can be taught separately or in any combination. Intended for healthcare professionals requiring the BLS for HCP certificate as a condition of employment. © 2017 JumpStart CPR & First Aid, LLC. | Serving Kitsap County, Bremerton, Silverdale, Poulsbo & Port Orchard.